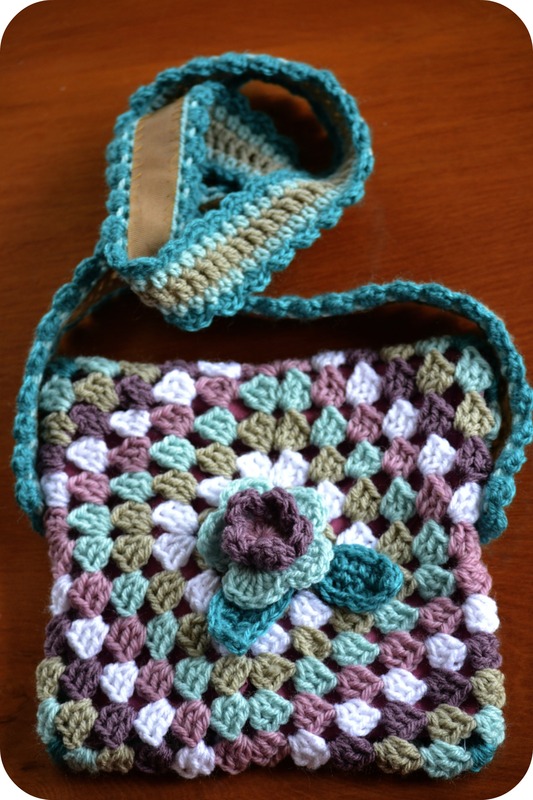 If you’ve been reading for a while you will know I have a thing for crochet bags… or more to the point, crochet granny square bags. 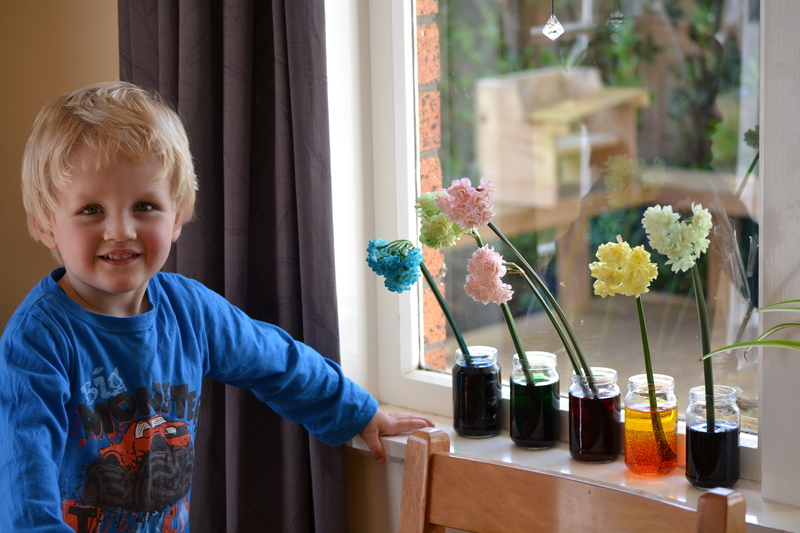 to tiny granny… And the giant granny… … It’d be fair to say I’ve made a few. But you can never have too many granny square bags, right? 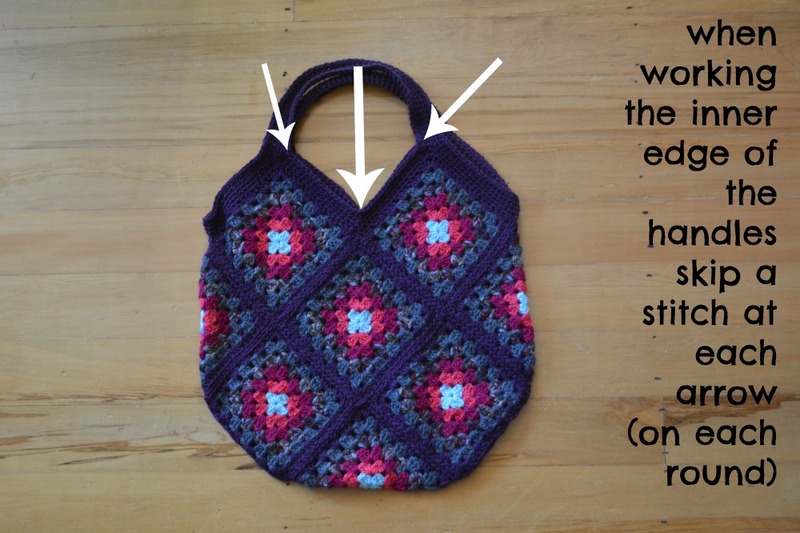 So here’s a lovely quick bag to whip up using 13 of your favourite granny squares! Crochet 13 granny squares. 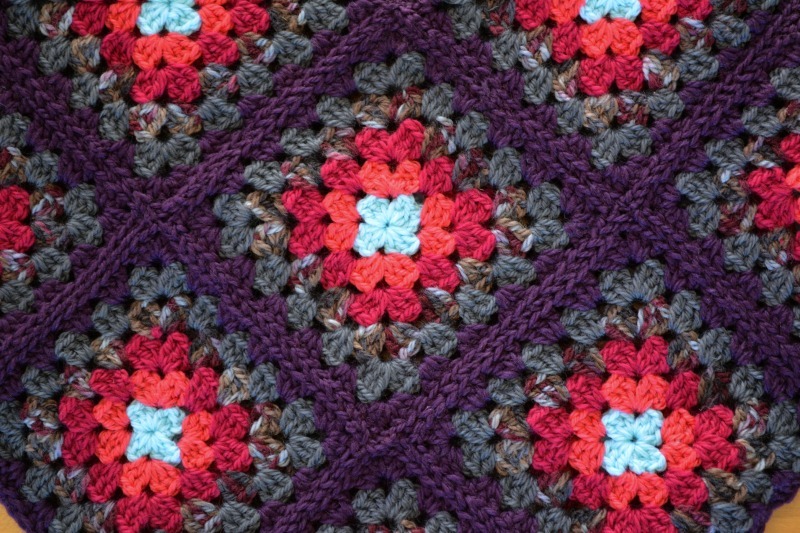 There are no rules to which granny square you use, what color it should be, or how big. But remember the size of the final bag will depend on how heavy your yarn is and many rounds the granny squares have. I chose my favourite ‘plain’ granny. 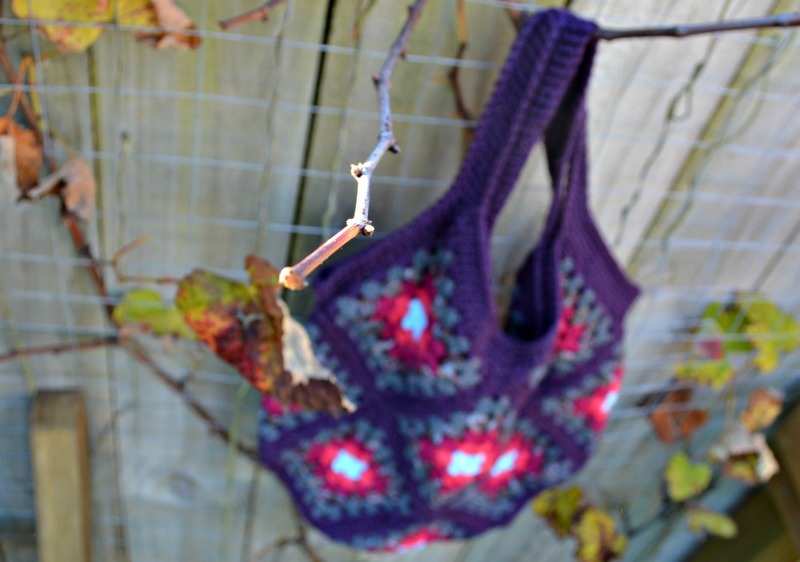 But there are so many amazing granny designs out there, this bag is only limited by your imagination (and your stash 🙂 ) My granny squares were made using a mix of dk/ light worsted and a 4mm hook. They are 6 rounds. I used the same color combination for all squares, but you don’t have to. If you choose to use different colors, keep in mind you are going to have to join them, and if you don’t want the join to show you will want to use a consistent color for the last round. 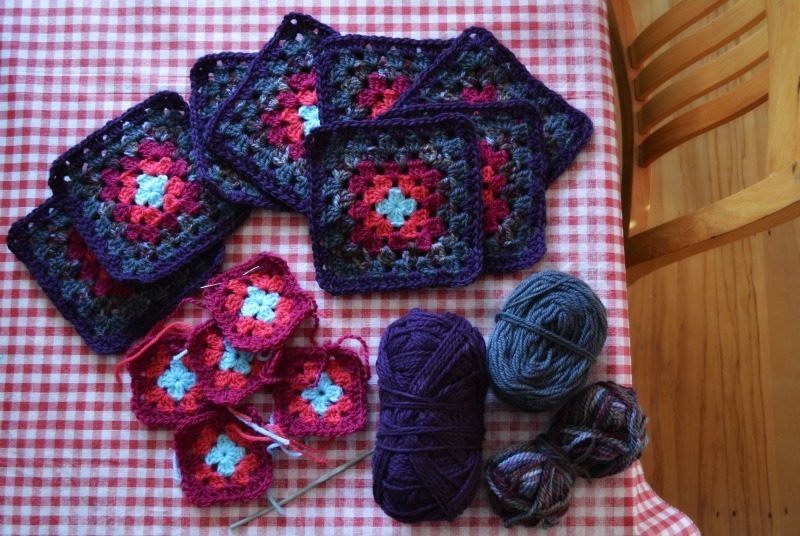 Step two: Sew your granny squares together. 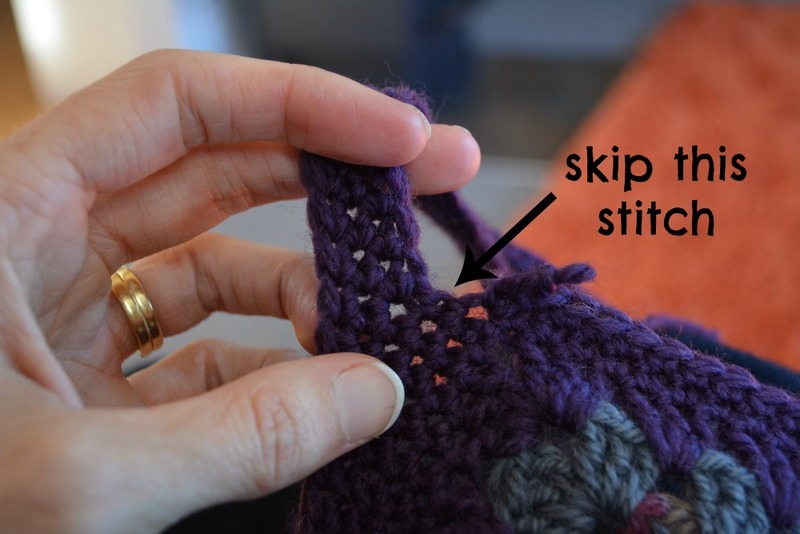 I do this by holding wrong sides together and sewing a zig zag from one square to the other catching only a single strand from each square. 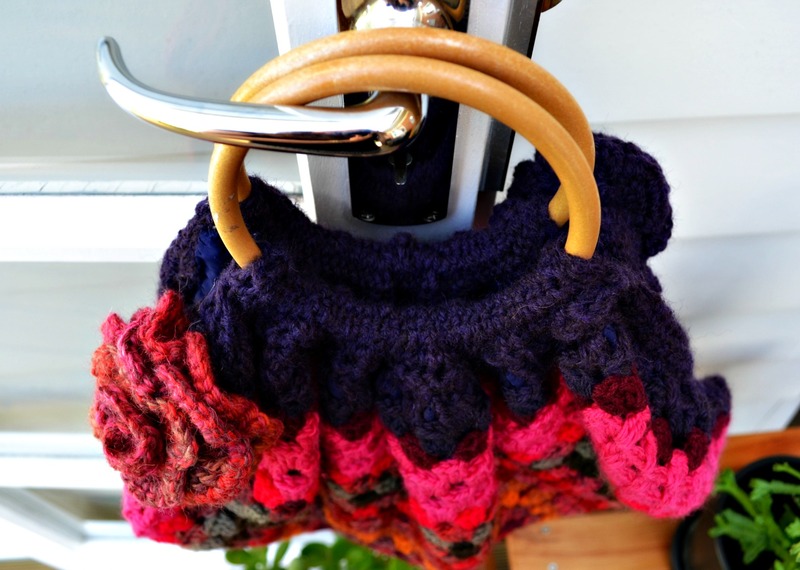 Crochet the outer rounds of the handles…. Round one: join your yarn (in a trough not a peak) and single crochet around the entire upper edge. Round two: SC in each stitch to the next ‘peak’ then chain 50. Skip the entire next ‘trough’ and join at the opposite peak, then continue with SC to the next ‘peak’, chain 50 and once again skip the next ‘trough’ join on the opposite side and complete the round with SC. Continue working around the inner edge for 3 rounds (total); skipping those three stitches on each round to keep it nice and neat. And that’s it, sew in all ends and you are finished! Stash it full of stuff and take it out! Love it! 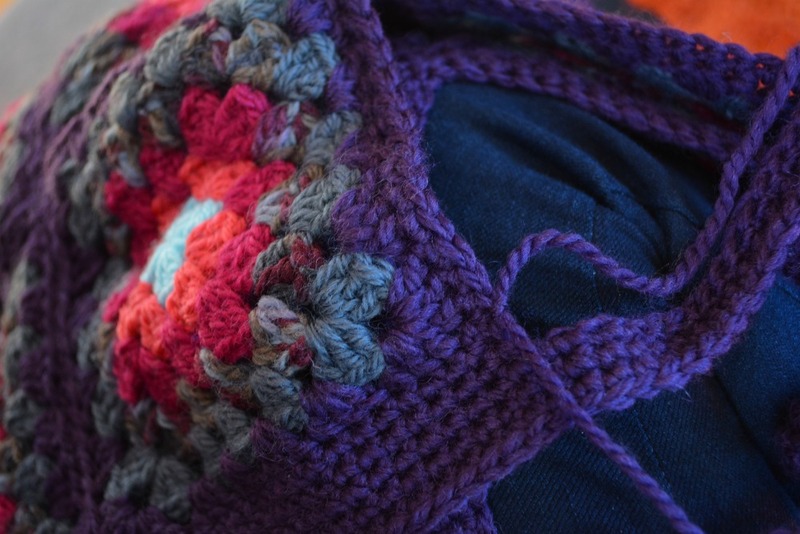 I am working on my first granny square bag myself, though it’s the first squares I ever crochet and I find them quite hard to do. Getting better at it though 😉 You can see some pics at http ://catstitches.wordpress.com. I was wondering, when bags like this are used, don’t they stretch out to much? You should fill them light, right? Or are they stronger than I would think? Thanks , that explains a lot! Oh thanks for another step by step tutorial! 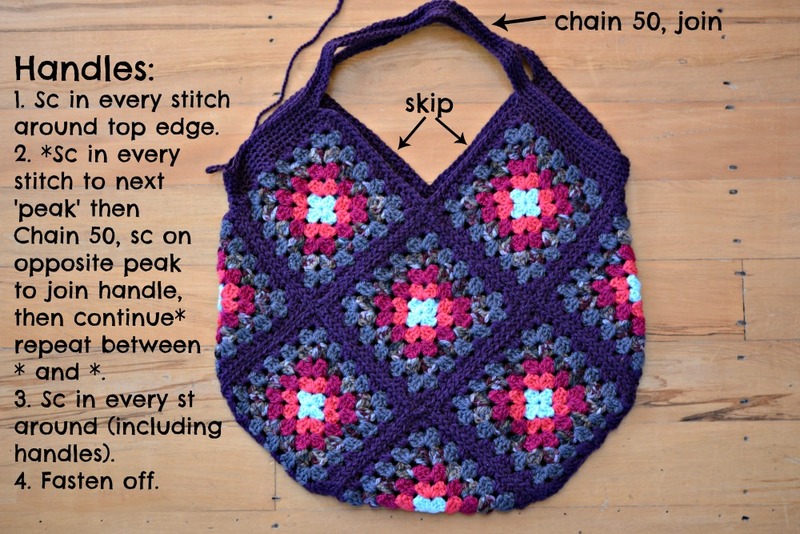 I love this bag, so good to see the way you have used the granny square in a new way. Must start one today! 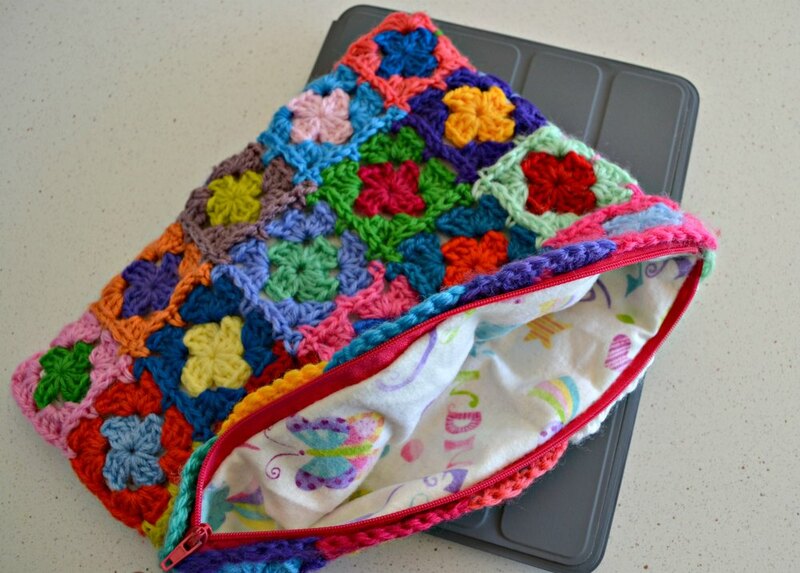 I’d just started making granny squares for a bag like this yesterday and was still mulling over the best way to do the handles! Seeing your post this morning was just perfect timing 🙂 Lovely colour choices BTW! Mine is in blues, greens and lavender. Love it! colours and squares and everything. It’s interesting how one can have a ‘thing’ for certain items. With me it seems to be blankets and bookmarks but I have a yearning to make several bags I have seen, they are just too low down on the list but I have added yours. I like how the squares fit together. ¡Qué versátiles son los grannies!, gracias por el tutorial. This bag is absolutely beautiful! Thanks so much for sharing how you made it. Love the colors that you used. I’d be thrilled if you’d link up at this week’s Off the Hook! 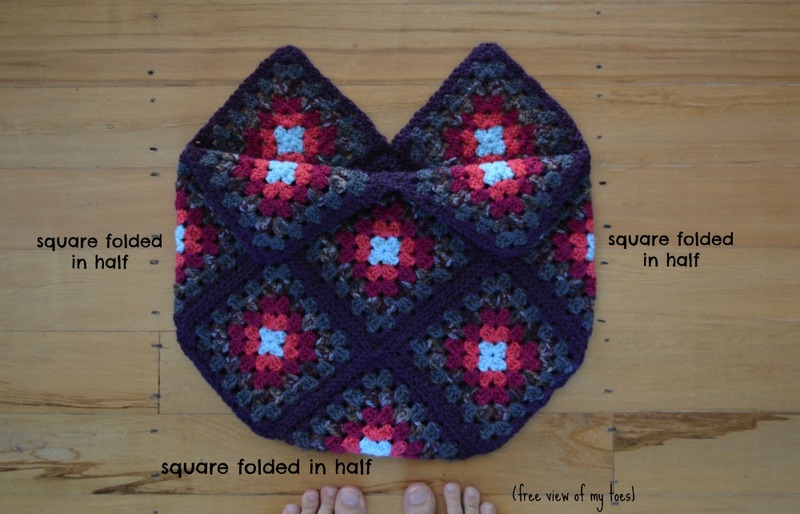 I love it- I have so many color ideas for granny square bags, but the lining job keeps me from doing it. Maybe your recent and really cool bag gives me a boost finally! Ok, let me get over there and look for the pattern! Gee thanks for replying! Thank you…that is where I got confused…I am sorry! I just found you! I’m primarily a knitter, but crochet also. 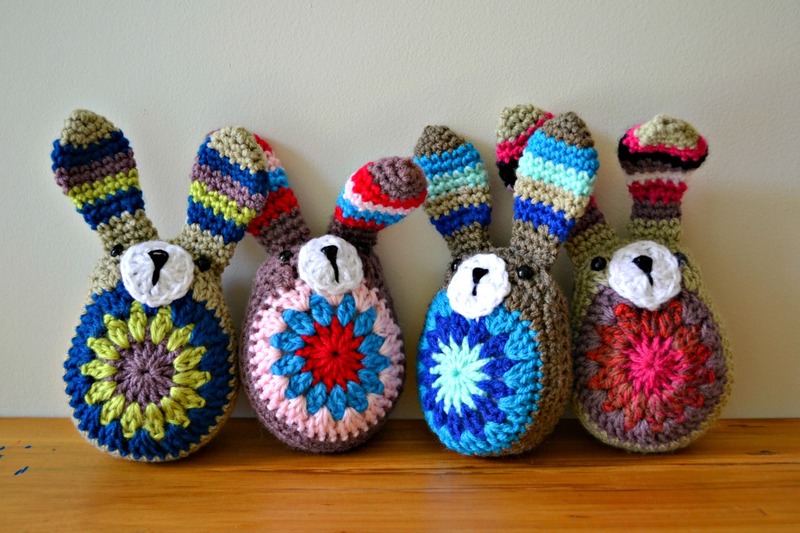 I was looking for some cute little animals to crochet and love your blog! Welcome, thanks for stopping by!!! 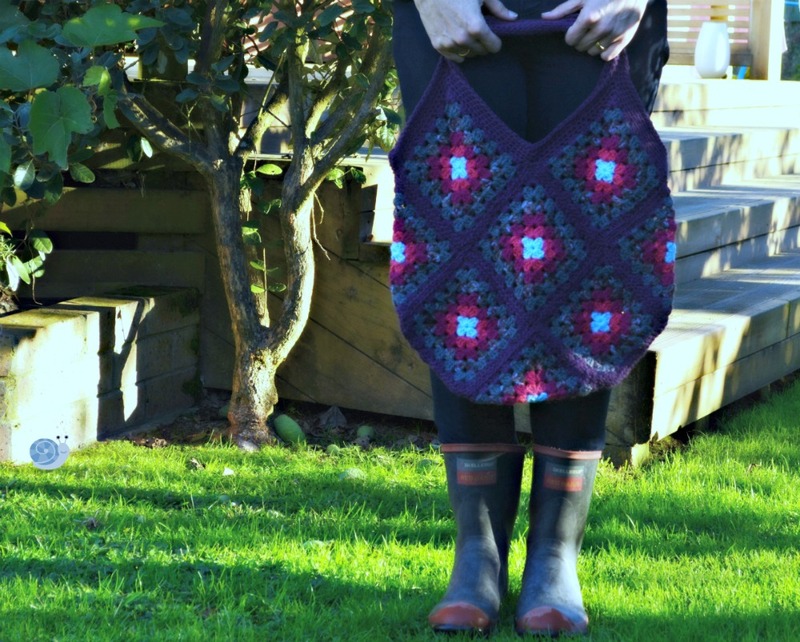 On linings and bags: I’ve crocheted a shopping bag, done in the round, without a lining. I’ve used it for years, and it’s OK. It has stretched out, but that’s fine. I’m not sure how seams would be affected. (It also gets more compliments than anything else I carry or wear.) I forgot where the pattern was, though. It’s dc’s and ch1 spaces. Finally finished my Granny Bag. It was a labor of Hercules, but it is finally done! I doubled the number of chains for the handles (100 ch) as 50 ch turned out to be kind of short. 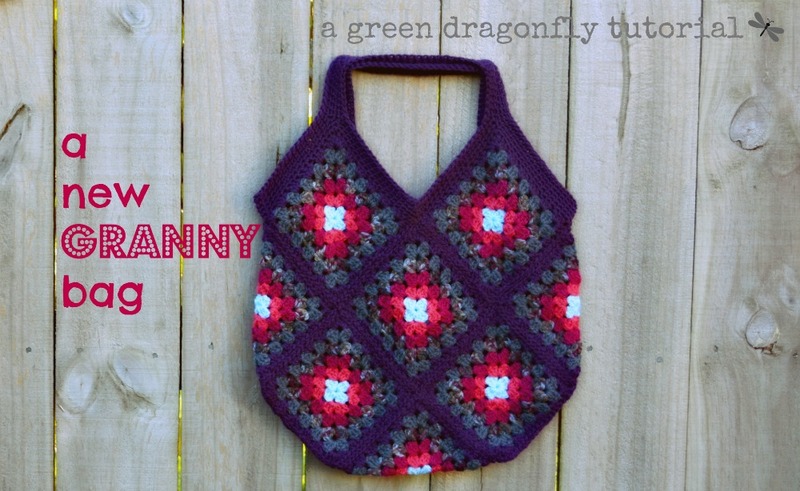 Thanks so much for posting the pattern. I plan to line it too. I’d like to send you a picture of it. Let me know how to do that.